The Robert Johnson Blues Foundation obtains funding from generous private and corporate donations, foundation grants, and annual dues. We ask for your help and support in joining our cause as a sponsor, or a Robert Johnson Foundation member.Your contribution will help many aging Blues musicians as well as a new generation of musicians keep the Blues legacy alive. Any interest and support on your part will be highly recognized and greatly appreciated. We look forward to hearing from you soon, and adding your name to the Robert Johnson Blues Foundation legacy. This organization is not limited to the music community but is also in the process of providing other assistance locally, state and nationwide to qualifying persons. Those who give $10,000 or more whether individuals, couples, businesses, or corporations are recognized on an Honored Contributors plaque in the Robert Johnson Blues Foundation Museum. This is a wonderful way for named giving as you honor a loved one, your family, or yourself. Because they are permanent, endowments are the financial cornerstones of any non-profit. Earnings from investing the endowment provide both security and independence—it is available year after year, regardless of changes in other income sources. An endowment is a living gift in that the principle monies live in perpetuity. Only the endowment income may be spent, thus protecting the principal forever. Endowment opportunities are offered at $15,000 and higher. Your gifts need not be made all at once and multi-pledges are encouraged to reach desirable levels of giving, especially for endowments. We look forward to working with you so your wishes are honored as we work together to make a difference. 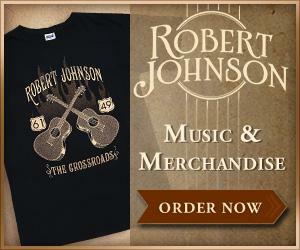 Together we will make a DIFFERENCE through our gifts and support the Robert Johnson Blues Foundation!